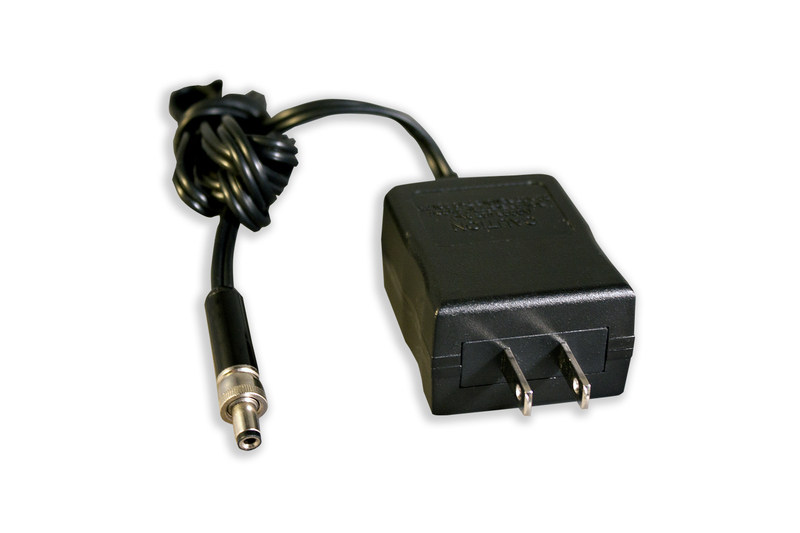 The SX3100 link consists of the SX3100-T transmitter and SX3100-R receiver. 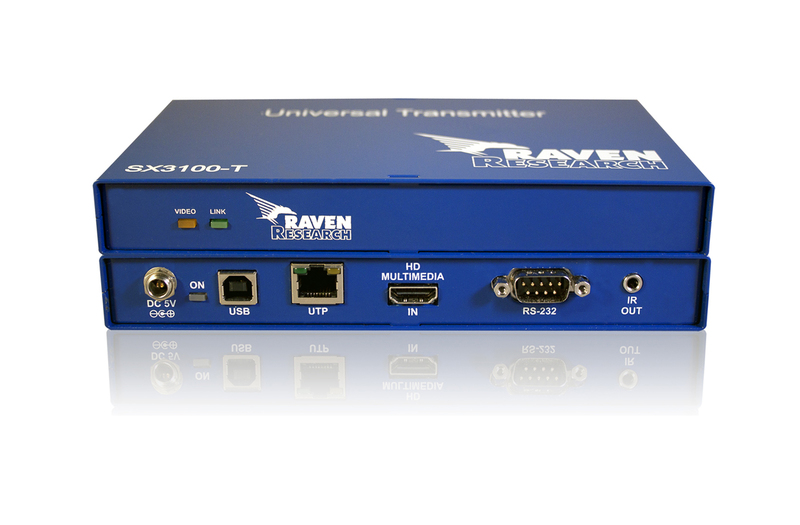 The link supports transmission of high definition digital video or digital audiovisual signals over UTP or STP (category cable). 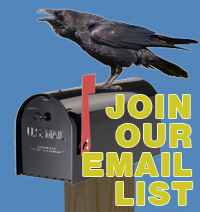 The link is fully digital and provides image quality far superior to outmoded analog “video extension” technology. 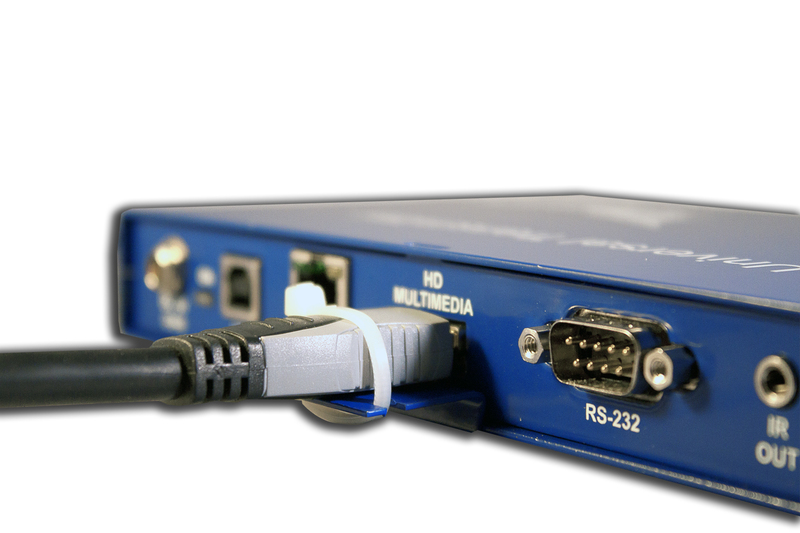 In addition to digital video, the link carries USB, audio, serial (RS-232) and infrared signals. These capabilities support pro AV applications as well as kiosk and touch screen ones, where feedback from the display location and human interface devices are necessary. 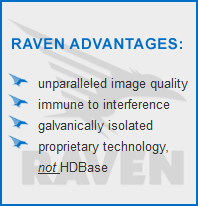 Delivering resolutions to 1920x1200 (including 1080p), Raven units boast Galvanic isolation, which renders the products virtually immune to power surges and lightning strikes. 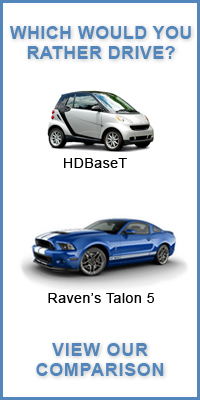 Additionally, Raven's Adaptive Compression technology automatically renders moving images and static text optimally—even when both content types are on the same screen at the same time—ensuring all content displayed is amazingly crisp. 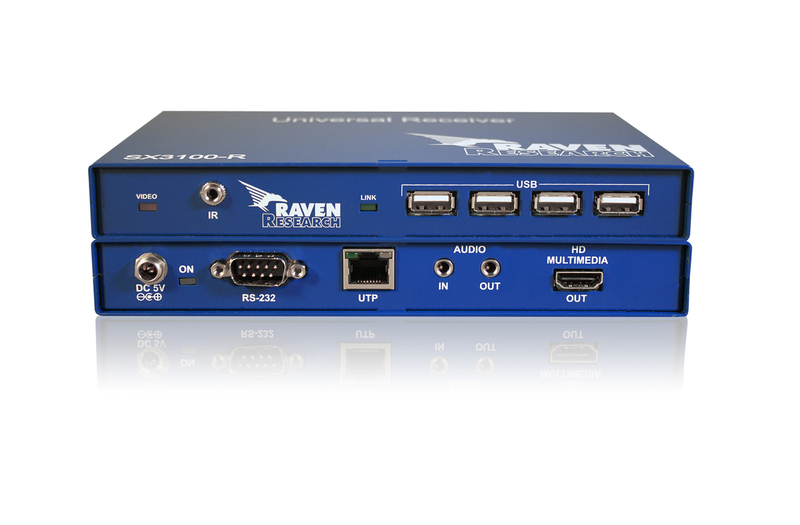 Raven products are also immune to electrical and cell phone interference, allowing installers to run multiple unshielded UTP cables (to feed a video wall for example) in a single conduit with no issues, try that with HDBaseT! 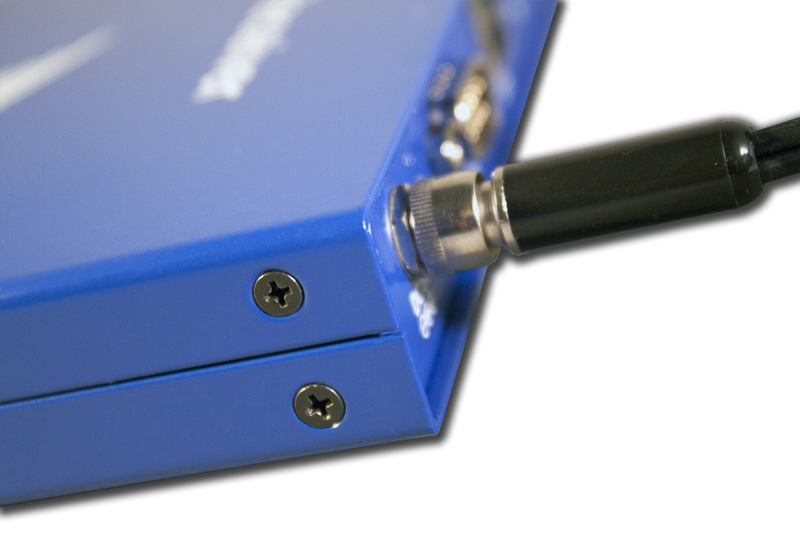 The link performance together with diversity of signals makes the SX3100 an excellent solution for conference rooms, museums, wayfinding, houses of worship, auditoria, classrooms and commercial settings where it is advantageous to install source equipment remotely from display equipment. 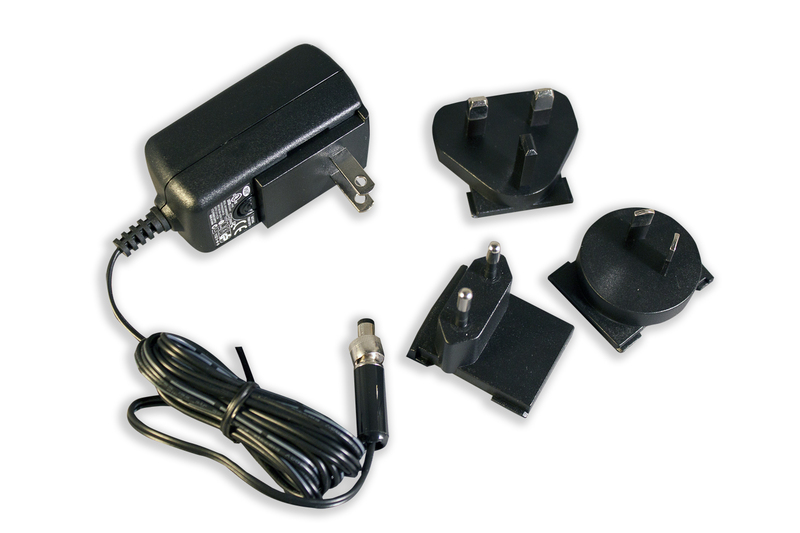 Because of the SX3100’s isolated unit to unit signal structure, it’s unaffected by mobile telephones and other typical sources of electrical noise. 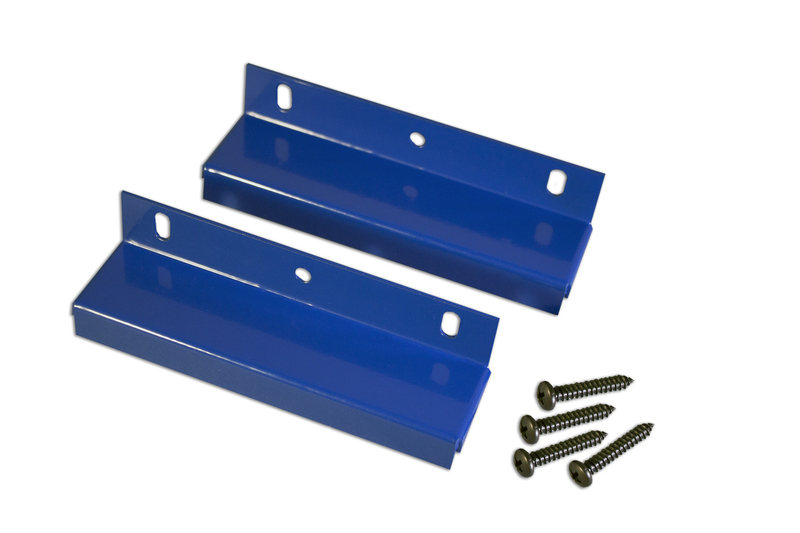 • 260-2000-00 - SX3100 Series Rigid Mount Bracket Kit. Supports (1) Transmitter or Receiver unit.